Not just another stir fry! 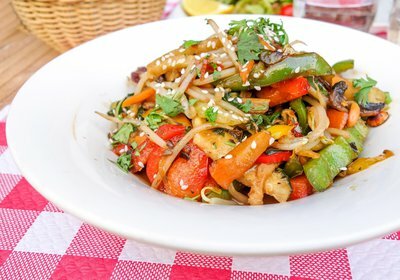 Following on from our recent blogpost of a low FODMAP stir-fry recipe, keep in mind that a stir-fry is one of those dishes that can be made in many different ways – to suit all tastes and tolerance levels. 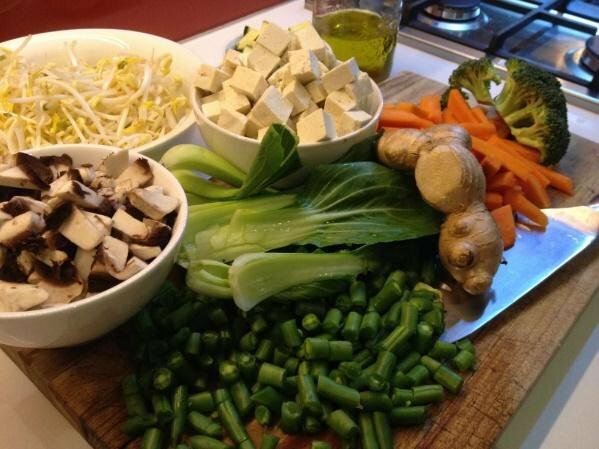 A stir-fry may be made low FODMAP to start with, but when symptoms are well-controlled and you are ready to re-introduce foods into your diet, add in a moderate-FODMAP ingredient and continue to monitor your symptoms. If well tolerated, next time include another ingredient from the moderate-high FODMAP group. When you get started with re-introducing foods into your diet, you may like to try an ingredient you have missed eating for some time, or work with your dietitian to create a list of ingredients to be re-introduced first. Below is a list of the many ingredients you may include from the green serves (low FODMAP), the amber serves (moderate FODMAP) and the red serves (high FODMAP) for a stir-fry that suits your tastes and tolerance-level. All of these and more can be found in our Monash University low FODMAP diet app. You may also like to include white, basmati or brown rice as the base to your stir-fry dish. 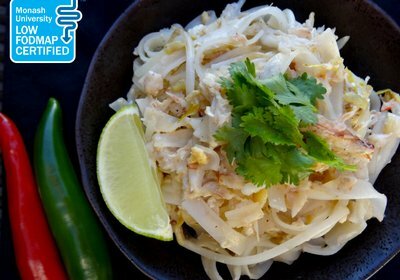 Alternatively, try rice based noodles such as rice vermicelli. Flavour with chilli, a variety of herbs and spices and garlic infused oil - for example, some ginger or galangal and lemongrass with coriander. You may also like to add, soy sauce, oyster sauce or a sweet and sour sauce. 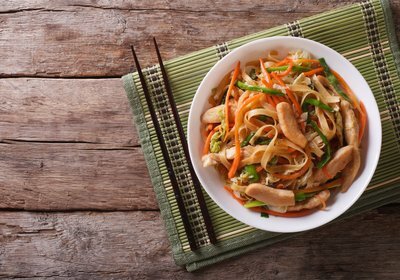 There are many ways to flavour a stir-fry and other dishes – it all depends on your preference. 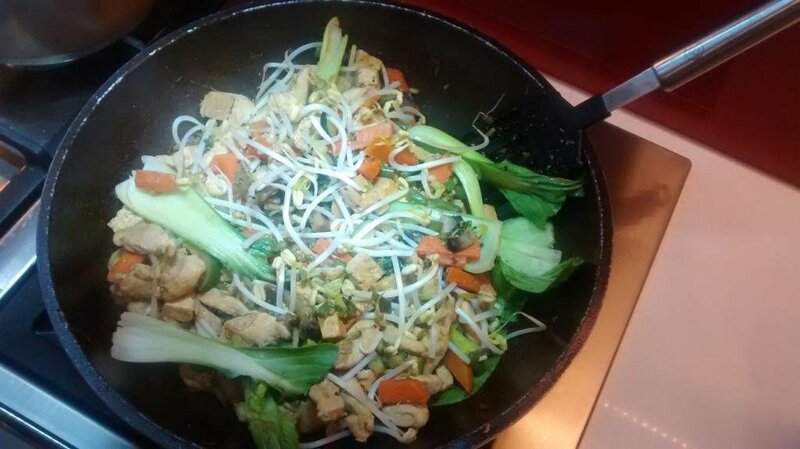 Here are some images of a stir-fry I created at home which included a number of low FODMAP and moderate FODMAP ingredients, flavoured with ginger, coriander, an Asian stir-fry sauce and lime, served with basmati rice. Please feel free to share your ingredient ideas for a stir-fry with us and others – not all stir-fries need to be the same.